We are here, ready to help you with the LiveMath™ and PrintMath™ software. Unfortunately, we get a lot of inquiries about general mathematics questions, which we cannot help with. I suggest you seek out Khan Academy or YouTube for your general math questions, or some Google searches. You may communicate with the LiveMath™ Team via the Tawk.to Chat mechanism in the lower right corner of each webpage on the site, or write us email: info@livemath.com. If we don't write back to you in a day or so, expect that your email was caught in spam. You may also use the form below to send us a message, perhaps with a LiveMath notebook as a reference, or, even better, a screencast movie to show us what you are trying to do in LiveMath, but need help with. You may use Screencast-o-Matic to easily make screencast movies with audio for free, and send us a link to your movie. Please see our Documentation page for PDFs - User's Manuals, Reference Manuals, both new, in production, and older historical books on LiveMath. 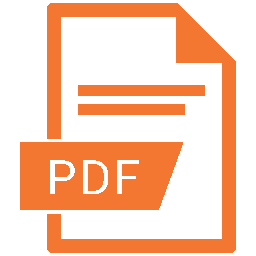 Please see our Curriculum page for LiveMath courseware - videos, how-tos, notebooks, targeted at specific curriculum. 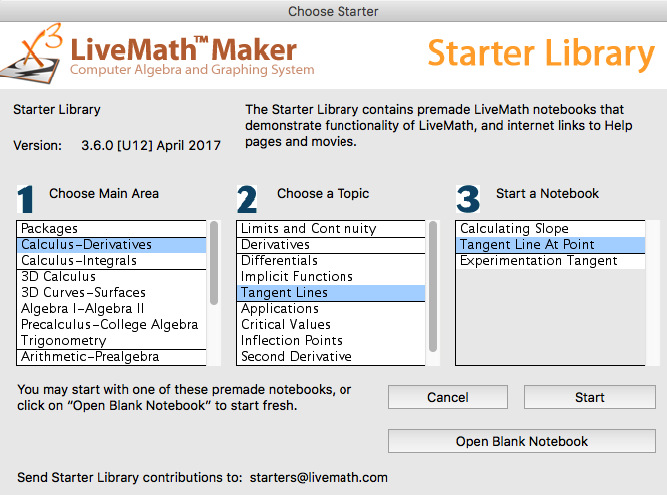 In the LiveMath application, try menu File →ow; Starter Library to see a wealth of pre-made notebooks on a variety of topics, both in math and related fields. You might find the answer to your "Can LiveMath do this?" query. While reading books and PDFs are helpful, there's no substitute to actually watching someone drive LiveMath or PrintMath using a screencast video. So please go checkout our ever-expanding LiveMath™ Video Help Library. You may send us a Support Request via the form below. 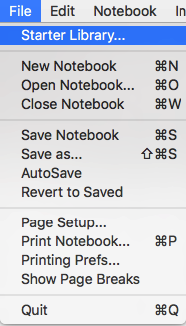 It is always more helpful to us to have your LiveMath Notebook file for reference, and perhaps a screencast movie explaining what you are trying to do, and what is not working as you expect (or at all). Please fill out the below form with as much information as possible. We have to do this because of automated spammers.